Every truck fleet faces the challenge of surplus vehicles. Vehicles inevitably depreciate out of the fleet after enough miles or wear, leaving fleet managers with a steady flow of vehicles no longer needed. 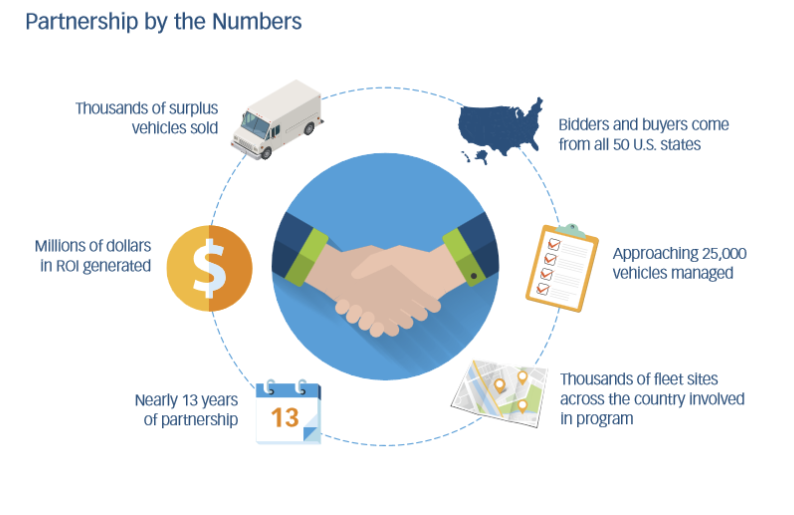 Savvy fleet leaders opt to sell these surplus vehicles in the secondary market, generating valuable recovery to reinvest in new vehicles or other core business objectives. A standardized program, often developed through a proven partner with surplus fleet expertise, ensures that fleet owners maximize profit for surplus vehicles with minimal distraction from core business. Read on to discover how we’ve helped a leading food company with one of the world’s largest fleets meet various surplus fleet challenges over a 13-year partnership. Our proven compliance process protects our client’s brand in the secondary market. Before putting our client’s trucks up for sale, we check them to ensure our client has removed all logos and brand elements. Liquidity Services also comprehensively screens all buyers on our marketplace sites using the most up-to-date global restricted-party lists, upon registration and continuously afterwards. This ensures that our client’s surplus vehicles will never be sold to improper buyers, locations, or for inappropriate end uses. Visit our case studies page to read more client success stories.